While the Congress’s iftar will bring together the Opposition, the one at the senior BJP leader’s residence appears to be an attempt to reach out to the Muslim community. NEW DELHI: A day after the Congress announced it would host an iftar party on Wednesday, Union Minority Affairs Minister Mukhtar Abbas Naqvi announced a parallel one, the difference being that his get-together would host only women, mostly victims of triple talaq. Iftar is the evening meal with which Muslims end their daily fast at sunset during the holy Ramzan month. While the Congress’s iftar will bring together the Opposition, the one at the senior BJP leader’s residence appears to be an attempt to reach out to the Muslim community. The Minority Affairs Minister has also held meetings with representatives of the Muslim and Christian communities as part of the BJP’s nationwide “contact for support” campaign ahead of the 2019 Lok Sabha elections. As first reported by Express on June 6, President Ram Nath Kovind will not host an iftar party this year, in a break from the tradition of Rashtrapati Bhavan. 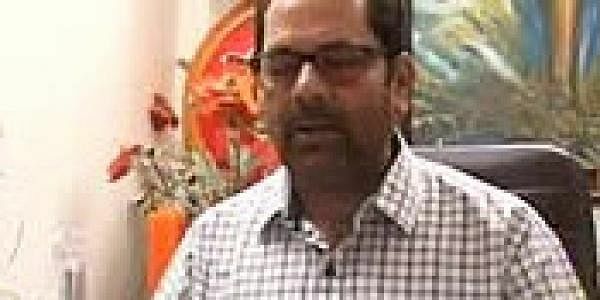 The announcement of Naqvi’s get-together has come on a day when his party colleague T Raja Singh Lodh, the controversial MLA from Goshamahal constituency in Hyderabad, was booked for posting an “inflammatory” video on social media on iftar parties. Triple talaq was declared illegal by the Supreme Court last August. Despite this, some Muslim men have continued the practice. There were 177 reported cases of triple talaq before the verdict; 70 cases have been reported after it. To curb instances of triple talaq, the Centre has proposed the Muslim Women Protection of Rights in Marriage Act, which will criminalise the practice. The proposed legislation has been cleared by the Lok Sabha but is pending in the Rajya Sabha, which has certain objections and wants it referred to a select committee for close scrutiny. On Monday, Lodh claimed that only those “begging for votes” hosted iftar parties and that he would neither host nor attend such events. Earlier, he said Hinduism preached that all should be respected irrespective of faith but there were some religions that preached otherwise.